Location: ~35kms from Mumbai (map). Kṣhetra Purāṇam: Once when Pānḍavās visited this place during Araṇyavasām, Yudhiṣhṭhira wanted to perform Śiva pūja. So the Pānḍavās built this temple for Yudhiṣhṭhir‘s pūja. This temple thus is very ancient and the diety here was worshipped by many over the years. About the Temple: The present temple structure was built in around 17 century. Inside the main temple there are other ancient idols of Lord Ganeśa, Hanumān. The temple is situated on the banks of the Khiḍkali Lake. 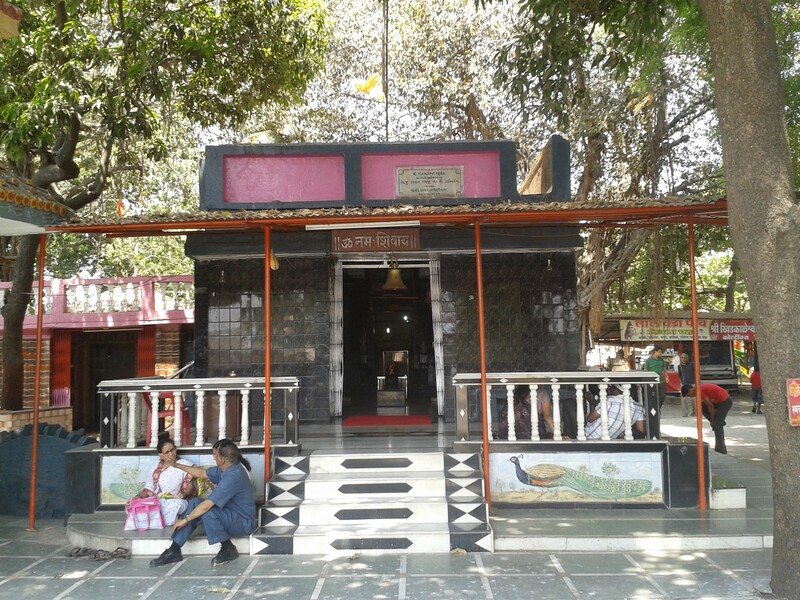 There are several small temples near-by: Dattātreya, Hanumān and other Gurūs. There is a small park inside the temple campus for recreation of kids.